A Sampling Bee: Smurfs: The Lost Village in Theaters April 7, 2017 + Ticket GIVEAWAY! 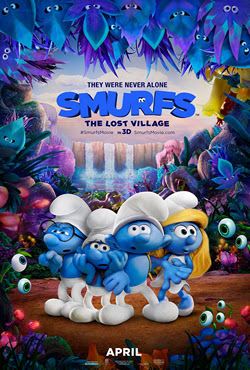 Smurfs: The Lost Village in Theaters April 7, 2017 + Ticket GIVEAWAY! So, who is your favorite Smurfs character?? Tell me in the comments below and you could be a winner! Don't forget... the new Smurfs Movie will be in theaters April 7, 2017 nationwide! Enter to win 2 tickets to see the new Smurfs Movie from Fandango!! I like Papa Smurf the best. My favorite smurf is papa smurf...he is smurftastic!